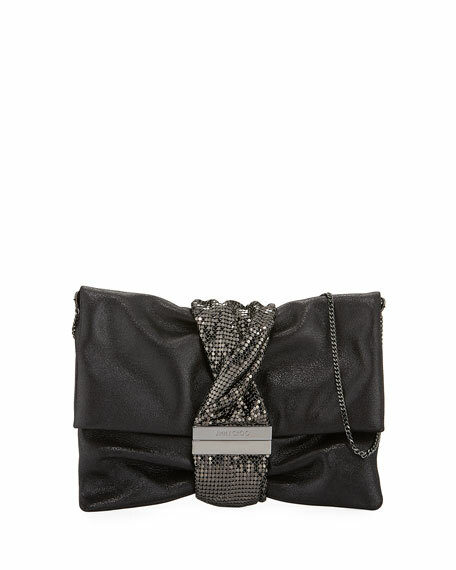 Jimmy Choo leather clutch bag with twisted chainmail bracelet detail. Flap top; logo-engraved magnetic closure. 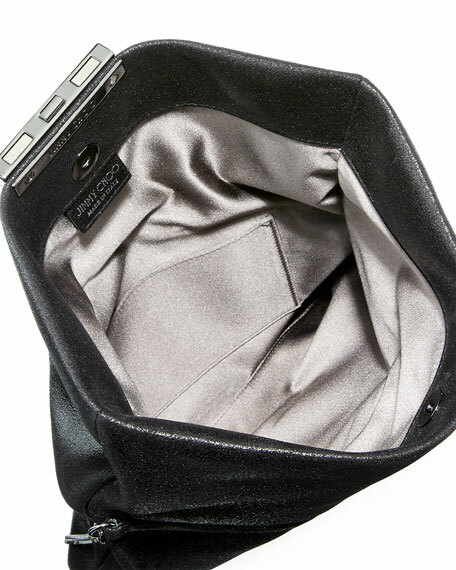 Interior, satin lining; open pocket. 7"H x 9"W x 1"D.
"Chandra" is made in Italy. 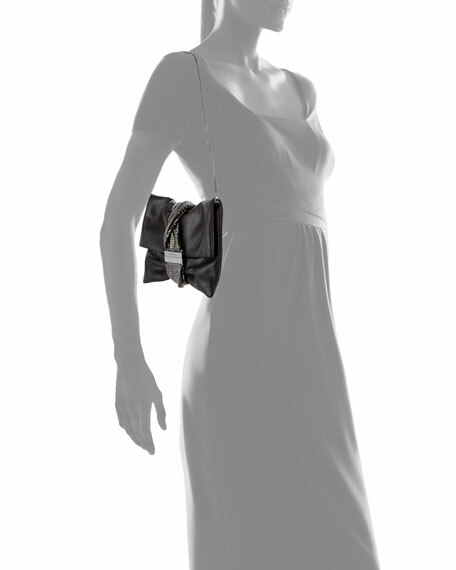 For in-store inquiries, use sku #2176955.